Have dinner at RUNZA at 169th and Maple!! Be sure to mention SJS when you place your order. A portion of the proceeds will be donated back to Home and School to support our projects. Don't forget to use HOPE certificates!! Pick up your items between 2:00 and 6:00 pm at the SEA Parish Center. Please complete the attached form and return to help with planning and to volunteer. Thanks!! 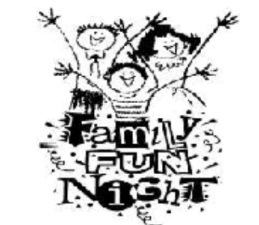 7:00 - 9:00 P. M.
Come have a GREAT TIME with the WHOLE family for only $5!! Order for take out or bring the whole gang for great food! Don't forget to mention SJS when placing your order. Enjoy great food and support SJS at the same time!! Remember to mention SJS when placing your order! Treats for all students in all grades provided by Home and School.